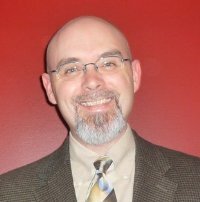 Dan W. Clanton, Jr. is the Assistant Professor of Religious Studies at Doane College. He holds a Ph.D. in Religious and Theological Studies from the University of Denver and the Iliff School of Theology, with an emphasis in Biblical Studies. His research interests include artistic, musical, and literary interpretations of biblical literature as well as the intersection between religion and culture. Along these lines, he has presented and published on topics as diverse as depictions of Hanukkah on the television show South Park and the overlap between the book of Jonah and the comic book Jonah Hex. As a member of the Editorial Board for the SBL Forum, Clanton published a series of articles on the reception of the Bible in graphic novels, and was a contributor to Teaching the Bible through Popular Culture and the Arts. His own books include The Good, the Bold, and the Beautiful: The Story of Susanna and Its Renaissance Interpretations and Daring, Disreputable, and Devout: Interpreting the Hebrew Bible's Women in the Arts and Music. He has also recently edited or co-edited two books: The End Will Be Graphic: Apocalyptic in Comic Books and Graphic Novels and Understanding Religion and Popular Culture, both published in 2012. In the interview below with Brent Strawn (Emory University), Clanton discusses the varied influences on his work, and the ways in which comic book designers, novelists, screenwriters, and other artists have used the Bible as a source of inspiration. Brent Strawn: How did you first get interested in graphic novels and their pertinence to biblical studies? Dan Clanton: I grew up with the original Star Wars films, watched Superfriends on Saturday morning, and had a Six Million Dollar Man action figure with real bionic vision, so I was a sci-fi, fantasy, superhero nerd from the get-go. However, I didn't read a lot of comics when I was a kid, or even in college. When I was in graduate school, I met my friend Andy Tooze, and after establishing my geek credentials, he recommended a graphic novel (GN) called Kingdom Come, published by DC Comics. This GN is a collection of a four-part, limited series written by Mark Waid and painted (not drawn, which is unusual) by Alex Ross. I'm not overstating when I say that reading this GN changed not only how I looked at comics/sequential art, but it also changed my academic focus. It's not an easy read, for three reasons. First, it's an "Elseworlds" story, which means it's a "What if?" comic, so the normal plot(s) and continuities one would expect from standard DC Comics characters like Wonder Woman and Superman simply don't apply. Second—and somewhat oddly, given the first difficulty—the plot assumes that the reader is very familiar with the history of the DC characters, as it includes numerous minor characters and subplots with little to no introductions. And third, the entire story is framed as a series of apocalyptic visions granted to a preacher who is struggling with understanding the book of Revelation. So, the reader must be up on both DC Comic history as well as apocalyptic literature. As I was slugging my way through the first go-round, I became more impressed by and aware of the sophistication and complexity of the storytelling, as well as the way(s) in which religious concerns, and specifically biblical literature and themes, were addressed and rendered. By the time I'd finished my second reading of the book, I knew I wanted to read more GNs, and also that I wanted to see if other cultural products—like film, literature, TV, music, etc.—also dealt with these same concerns and themes. Like I said, this GN opened up a whole new world for me. Strawn: What is especially promising/problematic about the graphic novel format with regard to biblical interpretation? Clanton: Comic art, as found in comic books and GNs, is an extremely malleable medium in which to tell stories. Given certain aesthetic restraints, such as borders and two-dimensional representation, one can do virtually anything. So, when one marries that artistic potentiality with the deep histories of specific characters, say, Batman, for example, one can tell virtually any story one desires in virtually any way one desires. However, just as there are restraints in the visual component of comic art, there are also narrative constraints when one deals with an established character like Batman. There's always a core story, a central identity, one must account for and deal with when one writes for a specific character. For example, can one write a Superman story in which Krypton never exploded? Is a Wolverine story the same if he's been de-clawed? Now, to be sure, someone probably has written stories like these, but the informed reader would recognize that they're the exception, not the rule; that is, that these stories violate the historical continuity of a certain character. So, when a reader engages a narrative told through the medium of sequential art about an established, familiar character, they begin with certain assumptions and background knowledge that will be reinforced, buttressed by, or challenged by this new narrative. This is, I think, the same experience one has when reading an interpretation of a biblical text. Consider this: can one write a story about Moses in which he doesn't lead the people out of Egypt? Is a life of Jesus possible in which he's not crucified? As I note above, surely these stories are possible, but a knowledgeable reader would know they're not in keeping with the biblical stories. Put differently, the background of a specific character and the plot of a specific narrative function as a baseline of sorts on which later interpreters/authors build their own versions of those characters/stories for specific communities with specific interests at specific times. This process is common to both comic continuity and biblical interpretation, and as such, can serve as a potent and promising point of contact between the two. However, there are also problematic aspects of the GN genre with regards to biblical literature. Just as one must have a deep knowledge of Bible in order to understand later interpretations of the Bible, one must also be aware of comic history in order to understand many GN/comics today. For example, when reading the New Testament text Hebrews, one needs to know something about the stories of Moses and Melchizedek in order to comprehend the author's claims that, like Moses, Jesus is the mediator of a covenant, but this new covenant is superior to the old one, and that, like Melchizedek, Jesus is also a high priest. Similarly, if one picks up Brad Meltzer's 2008 GN Justice League of America: The Lightning Saga, one must know about not only the history of all the individual characters in the League, but also the history of and heroes in the 31st century Legion of Super-Heroes. Along with the issue of narrative knowledge, the GN/comic art format can also be problematic from a visual, or graphic, standpoint. That is, once one has associated a particular character with a specific image, it tends to limit the imaginative possibilities for that character. For example, when I picture Batman in my head, it's almost always the character from the Warner Brothers animated series. Other Batmen just don't look right, and sometimes they look plain wrong (sorry, Alex Ross!). In the same way, once a specific image of a biblical figure has become concretized, take Charlton Heston's Moses as an example, it becomes difficult for interpreters to visualize other incarnations of that character, or to imagine that character doing things their ideal model might not do. In this case, then, the visual specificity offered by GN/comics might be a hindrance to understanding and interpretation. Strawn: Discuss a particularly good example of the genre. What makes it so good? Clanton: A GN needs to excel in both art and narrative in order to stand the test of time. The classic example of a spectacular GN is Alan Moore and Dave Gibbons' Watchmen. This is the quintessential GN for several reasons. First, it's enormously complex and sophisticated, both in terms of the art and the storytelling. Second, it demonstrates the potentialities of the medium in a way no one had really done before, as it interweaves various stories and includes supplemental writings that flesh out the stories in ways that are not always immediately obvious. Third, it portrays costumed heroes as sociopaths, deviants, pathetic, and disinterested. That is, it delves into the psychology of superheroes in a deeper fashion than had been done before. And fourth, it revolutionized the field of comic art when it was published by DC in the mid-eighties by showing that comics could address serious and mature issues over a long story arc rather than relying on inherited and traditional notions of the genre. I'd also like to mention two excellent GNs that engage biblical literature. Now, to be sure, Watchmen takes up several key biblical themes—especially apocalypticism—but the following texts do so in a more direct fashion. My first example is generally acknowledged as the first GN, and my second is a very recent publication. The former, Will Eisner's A Contract with God, was published in 1978 and was immediately recognized as a landmark in comic art. Eisner tells the story of Frimme Hersh, an observant Jew who has made a contract with God. After his daughter dies, Hersh confronts God, destroys the contract, and leaves his Jewish identity behind. Obviously, Eisner is alluding to the book of Job and the issue of theodicy here, but by remaining at the level of allusion rather than obvious reference, the GN forces readers to ask more difficult questions about the relation of the story to that in Job. Similarly, in Craig Thompson's visually stunning 2011 GN Habibi, there are numerous allusions to/citations of biblical literature, but they are often intertwined with Qur'ānic versions of the same stories. By this textual folding, Thompson not only problematizes the reader's familiarity with the biblical stories, he also requires them to engage other textual sources that retell these stories. In so doing, he demonstrates the complex history of biblical literature amongst various communities of faith. Both Eisner and Thompson ask the reader to be more than a passive recipient of comic art; rather, they force them to recall and rethink the sometimes unspoken bases of their narratives, and thereby reacquaint themselves with the Bible. Strawn: Is there a bad example? Or, if you prefer not to name names, what would mark "less good" examples? Clanton: It's hard to say what would constitute a "bad" or even a "less good" GN than the ones I mention above. Pragmatically, one could say that a GN (or the individual comic book issues collected therein) is "less good" if it doesn't stand the test of time. That is, if a GN isn't read, discussed, analyzed, or referred to by fans or academics for a durative period of time, it won't have any lasting effect on the way its subject(s) are viewed within the historical continuity of its subject(s). For example, at one point in the history of Superman, he appeared as a being of pure energy in a bright blue containment suit with no cape. This transformation lasted about a year, after which he reverted to his regular powers and traditional costume. During that time, though, this new blue Superman appeared in several key stories, such as Grant Morrison's influential run on JLA (Justice League of America) in the late 1990s. Even so, no one really talks or writes about the "Electric Blue" Superman any more. In fact, in Morrison's more recent and fabulous All-Star Superman (2005–2008), the reader finds a Superman who is back to the basics, and it's more than a coincidence that this series has received multiple awards and was made into a DC Comics animated film in 2011. It's even more difficult to discern what a "less good" GN would be if we're talking about a GN that uses/interprets Bible. As you would expect, there have been lots of attempts to render biblical literature/themes into comic form. Sheldon Mayer's Stories from the Bible for DC Comics in the mid-1970s; JT Waldman's Megillat Esther (2005); the Christian publisher Zondervan's Manga Bible series; R. Crumb's The Book of Genesis (2009); and most recently, Doug Mauss and Sergio Cariello's The Action Bible (2010) are all notable examples of retelling biblical narratives in the form of sequential art. There are also examples in which writers and artists reinterpret or weave biblical stories into more modern narratives or contexts, such as Fred Carter's comic work on Chick Tracts; Robert James Luedke's Eye Witness: A Fictional Tale of Absolute Truth (2004) and Eye Witness: Acts of the Spirit (2006); Steve Ross's Marked (2005) and Blinded: The Story of Paul the Apostle (2008); A. David Lewis and mp—Mann's The Lone and Level Sands (2006); Douglas Rushkoff's limited series Testament (published as four GNs from 2006-2008); Frank Stack's collected underground comics about Jesus, The New Adventures of Jesus (2006); and Basil Wolverton's biblical illustrations for the Worldwide Church of God, now collected in The Wolverton Bible (2009). Obviously, some of these examples—such as Mauss and Cariello, Carter, and Luedke—are created with an eye for religious didacticism, but many of them are attempts to creatively render particular biblical texts. And if one assesses their success, or tries to determine if they're "less good," one must be careful to do it on their terms and with their own goals in mind. Personally, I've found that attempts to retell specific biblical texts literally succeed or fail not on the basis of narrative, but rather with the aesthetic choices artists make. For example, I've said before that I think Luedke's goals are undercut by his artistic preferences in the book, even though he tries to be faithful to New Testament texts. On the other hand, R. Crumb's The Book of Genesis is both visually intriguing and innovative in the artistic choices he makes, even though he follows Robert Alter's translation of Genesis very closely. Generally speaking, one can judge the value of a GN on the basis of its text, art, aesthetic choices, contribution to interpretive continuity, the goals of the author/illustrator (if known), and one's own individual and communal preferences and tolerance levels. Strawn: How would you recommend GNs/comics in the classroom, both in terms of a professor's use and a student's use? Clanton: My friend Lynn Huber and I wrote an article for the Society of Biblical Literature about how teachers can use art in the classroom to help teach biblical literature, and many of the points we made can also apply to GNs and comics. More specifically, a professor can use GNs/comics to illustrate a particular point or passage under discussion. For example, if you're teaching the book of Genesis, it might be helpful for you to use Crumb's The Book of Genesis in order to help students visualize what a specific scene might look like, or how certain characters might interact. A teacher could also assign a GN/comic or a portion thereof to ask students to consider how it interprets a particular biblical text. Thompson's Habibi, for instance, portrays a conversation filled with riddles between the Queen of Sheba and Solomon that is not in the biblical text. Having students read the account in 1 Kings 10 and the way Thompson's text fills in the unspoken gaps in the narrative would be a useful way for students to be introduced to later interpretations, such as the Jewish Midrash. Finally, GNs/comic art can be used to illuminate certain themes or issues found in biblical texts. This could be an exercise in making connections between different genres, that is, between Bible and comic art, in the hope that the latter might help students understand the former. Take the issue of apocalyptic literature and/or thought. This is usually a very difficult subject for students, not because they don't understand it or haven't been exposed to it, but, rather, because they're overexposed to it. Everywhere they turn, they're confronted with images of zombies, ancient predictions about 2012, bumper stickers that talk about the Rapture, etc. The problem, then, is to get them to focus on what the biblical texts say about the End of Days and the historical and ideological factors behind those views. One way to do this could be to confront them with comic art that deals with the Apocalypse, and ask them to put this art in conversation with the biblical text(s). There's a plethora of comic art from which to choose on this score, but I'd recommend using a combination of the art of Basil Wolverton and The Walking Dead. The former was constructed under the auspices of the Worldwide Church of God and uses bizarre, mutated figures to detail the effects of a nuclear apocalypse, while the latter is focused on what happens to human survivors after a large segment of the population is turned into zombies. The Walking Dead, now a popular TV show, is brutally realistic in its portrayal of life after the End, but yet it almost always stays very clear of the religious issues normally associated with an/the apocalypse. As such, using these two disparate examples of comic art to ask students to (re)consider issues of Apocalyptic thought and literature could result in many interesting overlaps. For students, I would think that using GNs/comics in the classroom would offer a respite from the normally text-heavy books their instructors usually assign. More and more we're realizing that students today consume data in a different way than earlier generations. After spending so much time watching TV and perusing the Net, younger students are much more adept at engaging information that combines text and images, and so we shouldn't be surprised when they have more difficulty with a book that only includes text. Using GNs/comics as texts or even as supplements allows students to engage more data in a familiar way, and as such I'd encourage my fellow professors to try it out. Strawn: What would you want the average reader of the Bible to take away from your research, not only on graphic novels but on the reception history of the Bible? A layer of Language. If you read the Bible in a translation, then you're encountering an interpretation, as all interpretations require choices. Even if you read Hebrew, Aramaic, or Greek, the texts you'll read are critical reconstructions of ancient texts made by scholars using their best judgment, so again, you're encountering an interpretation. A layer of Culture. Our 21st century cultural context is radically different from the cultures depicted in the biblical texts. We have different practices, assumptions, fields of knowledge, and experiences. Trying to understand our own culture is hard enough, but trying to encounter the cultures in the Bible requires information and imagination, both of which are conditioned by our own cultural/social/historical/intellectual contexts. In many ways, we are prisoners of our own contexts. A layer of History. Similar to the layer of culture, we live in a different historical moment with a vast knowledge of the peoples and times that came before us. Even so, we are often so enmeshed in our own moment, that it's difficult to unravel our own assumptions enough to see someone else in their own shoes. A layer of Personal/Communal Identity, etc. It's axiomatic in the field of Biblical Studies—as well as most fields that deal with literature—that the way(s) one encounters a text is heavily influenced by their own experiences and knowledge. For instance, I would read a particular text very differently than someone else based on my identity as a heterosexual male Jew with a Ph.D. who loves Star Trek and Jazz. That is, I would engage the text with prior knowledge and make a whole host of connections that someone else might not, and vice-versa. In addition to these layers, it's important to recognize that for most people, the meaning(s) they assign to biblical literature are mediated through various interpretations they've encountered, rather than from the biblical text itself. Put differently, not a lot of people read the Bible, but a lot of people talk about the Bible and make claims about important issues based on the Bible. So, from where does that knowledge come? As a Reception History scholar, I think that knowledge comes from interpretations of the Bible, be they religious (like sermons, Gospel music, or religious TV shows) or secular (like films, popular music, or network TV shows). So, one of the main things I'd like people to see from my work and the work of other RH scholars is that what we think the Bible says is actually constructed from different interpretations from various genres, rather than a direct, unmediated encounter with the Bible. The importance of this in a climate of increasing scriptural literalism, reliance on sacred texts as resources for moral decision-making, and religiously-based and validated violence should be obvious. There is no "one" correct interpretation of the Bible, or any other sacred text. Meaning is always negotiated and constructed depending on one's context(s), identity, and communal affiliations. If consumers of sacred texts can understand this, then perhaps we can start a dialogue about how our meaning(s) came to be and how we might de-construct a meaning that we find harmful or detrimental, rather than continue the same potentially dangerous monologue about how one meaning is correct and should therefore be the norm, while others are wrong, and should be corrected, coerced, or canceled. Strawn: Would you mind illustrating the points you've made with a concrete example like The Brick Testament (TBT)? Clanton: For readers who might not know, TBT is a website that describes itself as "the largest, most comprehensive illustrated Bible in the world with over 4,500 illustrations that retell more than 400 stories from The Bible." The fun part of TBT is that all of the "illustrations" are done with Legos, and each illustration is labeled by the book, chapter, and verse depicted. So, all of the settings and characters are made out of Legos, they're all positioned by hand, and each panel includes a bit of the biblical text. Imagine one frame in a series of frames for a stop-motion animation sequence made entirely of Legos with biblical captions, and there you are. Since almost all of the ideas and examples I mention earlier stem from comics and graphic novels, there won't be an exact overlap with TBT, but as TBT is a graphic medium that uses representational forms, there are plentiful parallels. To wit, a good example of the types of issues I mentioned earlier can be found in the section titled "The Garden of Eden." First, the scenes in this sequence illustrate the tendency I noted with the works of Eisner and Thompson, i.e., they ask the viewer to be active in terms of recognizing their base texts and reacquainting themselves with those texts. Put differently, given the limitations of what one can do with Legos and some written text(s), the viewer must be able to contextualize the scene in its broader narrative setting. More obviously, though, TBT performs all three of the functions listed by Lynn Huber and me in the article I referred to earlier. That is, TBT illustrates, interprets, and illuminates. Just how does TBT do all this in its portrayal of the Garden? 1. First, if one looks at how TBT illustrates the scene from Genesis 2.8–9, one sees the Garden as a lush, colorful environment, one in which anything foreboding seems implausible. (a) In its renderings of 2.7, it makes explicit the wordplay in Hebrew that tells the reader that the human ('adam) is made from the earth ('adamah) by showing the human as the same color as the dark brown earth, with no facial features present until it presents the end of 2.7, in which the human becomes "a living being." This wordplay is often obscured in English translations, but TBT is able to show it pictorially. (b) Genesis speaks of the male's joy at and poetic response to the creation of woman in 2.22–24. TBT chooses to have the man's arms extended upwards as he utters his first speech, and then shows the man and woman engaged in sexual activity (with God looking on!) to reflect the narrator's pronouncement in 2.24. These choices show what is un-shown in the biblical text, viz., the jubilation on the part of the man at the end of his solitude as well as the physical response of sexual expression. (c) After the disobedient act in which the primal couple eats of the " forbidden fruit," God decides to exile them from the Garden. However, prior to their expulsion, Genesis says God made them "garments of skin" or "of leather" to clothe them (3.21). TBT chooses to show God standing over a butchered cow with a knife, while Adam and Eve, now clad in spiffy leather get-ups, look on weeping. This interpretation again makes explicit what is implicit in the biblical text, viz., where the garments came from. 3. Third and finally, TBT also illuminates important issues through its presentation. In Genesis 3.6, we're told that the woman took the fruit, ate it, gave it to her man "who was with her," and he ate it, too. The traditional way of reading this text is that the woman somehow coerced the man into eating, and as such she comes to be looked upon as a temptress. However, much hinges on the way one translates the Hebrew word 'immāh, "with her." Now, some translations solve this problem by simply not translating this word at all. If one wishes to retain it, though, one must decide if it means the man was "with her" in the sense that he was "with her" during the entire conversation with the serpent, or if he was "with her" only during the act of eating. The latter reading could let the man off the hook, so to speak, in that he wasn't around when the woman was tempted. The former reading, though, implies that the man was "with her" while she spoke with the serpent and ate the fruit, so he could've simply spoken up at any point and put a stop to her actions. If one reads "with her" in that fashion, then the man must share the blame for the disobedient act along with the woman. And this is exactly how TBT shows the events beginning in 3.1: the man and the woman are together the entire time the serpent and the woman are conversing. As such, TBT raises a challenge to the traditional interpretation of these verses by offering an alternative, but still entirely acceptable, rendering of the text. In that regard, TBT illuminates the larger issue of patriarchal and androcentric readings of the text that focus on the woman's culpability and its implications for all future women. This is only a small sampling of how TBT could be used by both scholars and students who are interested in comics specifically or RH more broadly. I should also note the aspect of play that's bound up in TBT, i.e., anyone can make their own "Brick Testament," and in so doing can utilize the whimsical, playful aspects of their imagination we too often neglect in academia. So, enjoy your Legos and have fun!